NEW YORK -- Kyle Okposo scored the tiebreaking goal early in the third period and added two assists as the New York Islanders beat San Jose 6-3 Saturday night, handing the Sharks their first loss of the season. Johnny Boychuk, Anders Lee, Josh Bailey, Brock Nelson and Frans Nielsen also scored to help the Islanders win their third straight - all at their new Brooklyn home. Jaroslav Halak made his season debut after missing the first four games due to an undisclosed upper body injury and finished with 22 saves. 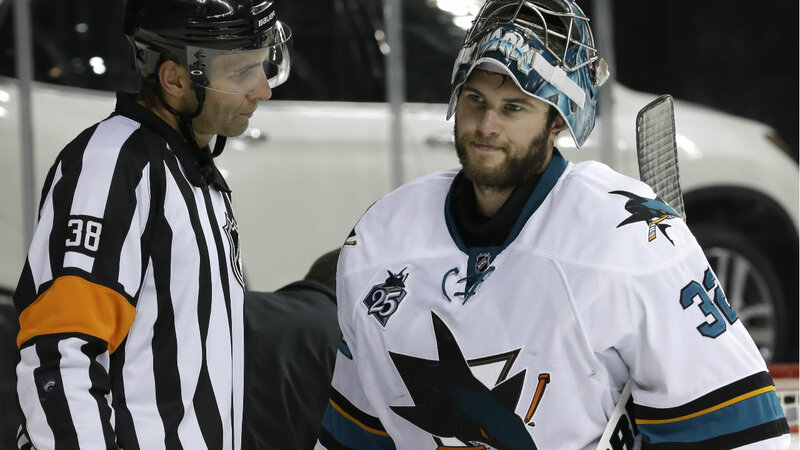 Joe Pavelski, Nikolay Goldobin and Joel Ward scored for San Jose, which opened the season 4-0-0. Alex Stalock stopped 28 shots. On the go-ahead goal, Okposo got the the rebound of his own shot behind the net, skated around Sharks defender Brenden Dillon and beat Stalock to put the Islanders up for good.